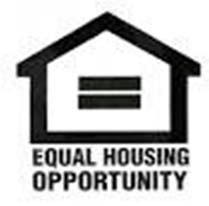 Section 8 Housing Choice Voucher Waitlist Opening October 1, 2018! Effective 8:00 AM, Monday, October 1, 2018, the waitlist for the Section 8 Tenant-based Voucher Program will be opening for new applications. Applications will be accepted online only at www.hacsbwaitlist.org. This waitlist will be closed effective 11:59 PM October 31, 2018. Eligible households under this program are offered a Section 8 voucher allowing them to choose a unit to rent from private landlords. Participants pay a portion of their income toward rent directly to the landlord and the remainder is paid by the Housing Authority. Families, seniors and disabled individuals receive waitlist priority. Waitlist ranking is based on date and time of application and preference points.